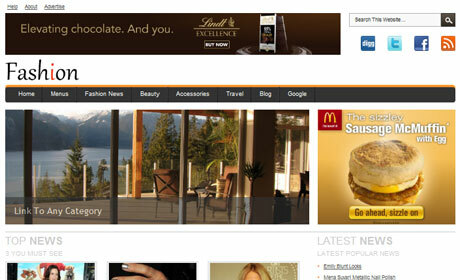 This is a new WordPress magazine theme which is good for style, fashion, beauty,celebrity gossip websites. If you are looking for a fashion magazine WordPress theme, this Fashion theme is for you. This cool interface is meant to be a perfect backdrop to your content. The theme is ready to start working, out of the box, with a multitude of theme options, custom widgets to help you personalize your environment.